Back By Popular Demand: Lighted Wine Bottle Painting Party! 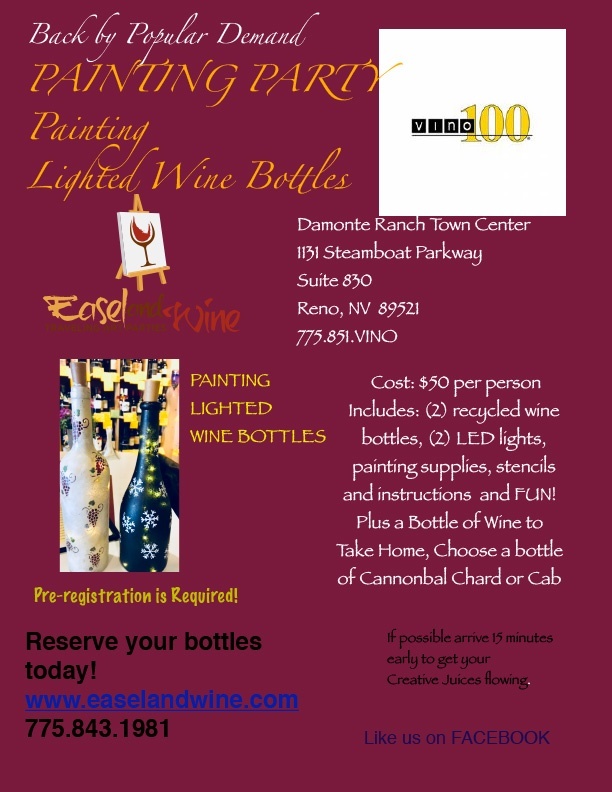 Join us to paint lighted wine bottles. Party includes 2 recycled wine bottles, 2 LED light strings, painting supplies, stencils, instruction and FUN! Plus you take home a bottle of wine! Choose from a Cannonball Chard or Cab.